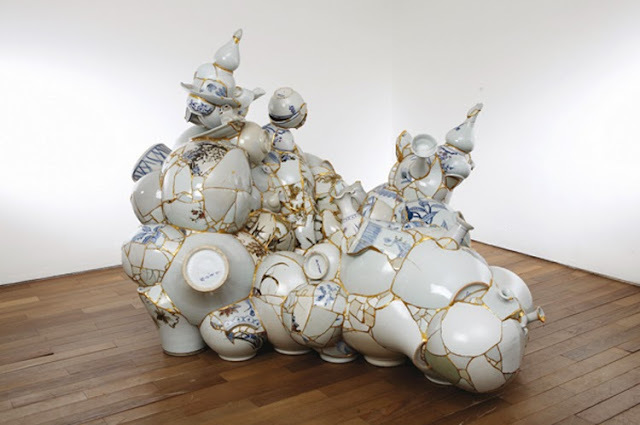 Ceramic masters break almost 70 percent of the porcelains that don't reach up to their standards of masterpieces. 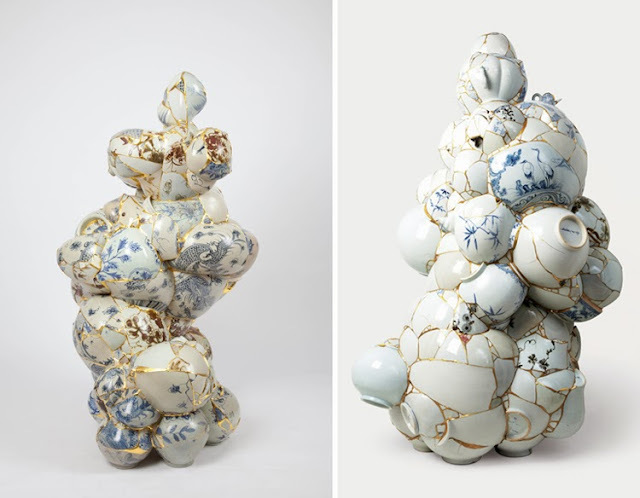 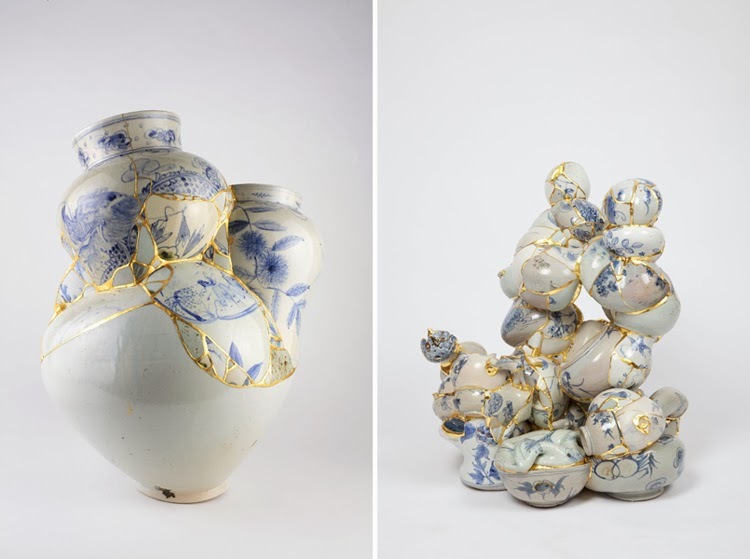 Korean artist Yee Sookyung takes that ceramic trash from the ceramic masters and puts the broken bits and pieces together one by one, covering the seams with 24 karat gold leaf. 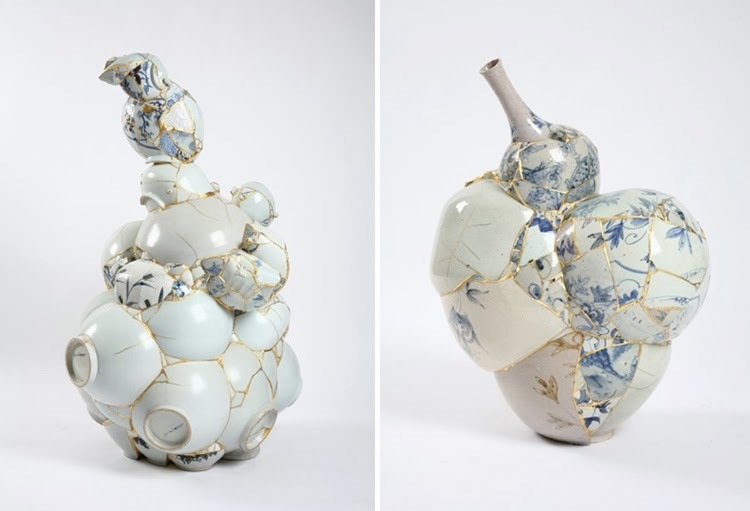 The result is amazing - you recognize some pieces here and there but they are transformed into something completely different and very fascinating. 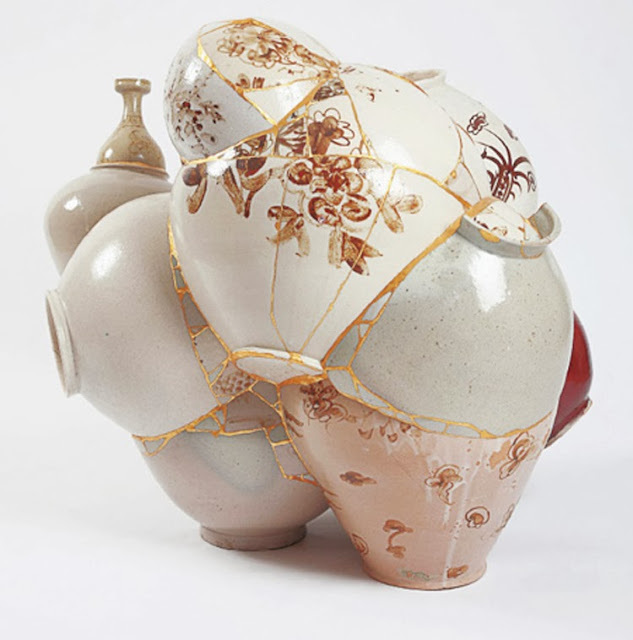 Via The Jealous Curator.